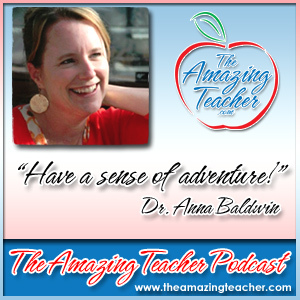 In this episode, I sit down with 2014 Montana Teacher of the Year, Dr. Anna Baldwin, and we have great conversation. 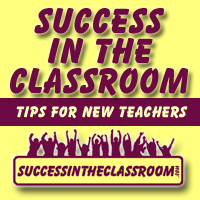 Dr. Baldwin teaches on an Indian Reservation in Montana, and she shares some great advice for new teachers and soon-to-be teachers on the podcast. She encourages new teachers who might be struggling in those first few years to go ahead and ask for help from other teachers. Many new teachers, and I was one of those, are hesitant to ask for help, because they don’t want to be seen as weak or not knowing what to do. Dr. Baldwin encourages teachers to let go of the ego, and find a mentor and ask for help, so listen for that. Also, she encourages new teachers to have a sense of adventure. She says that “a sense of adventure is really an important part of keeping things exciting for both the teacher and the student.” So, again, listen for that. I had a great time speaking with Dr. Baldwin, and I know you will find a lot of value in what she shares as well. Thank you again for taking time to listen to the podcast and for sharing these interviews with your friends and colleagues.